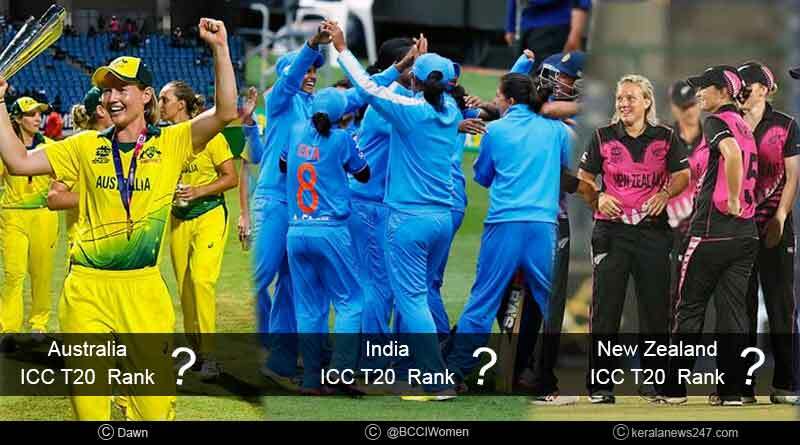 Everything you need to know about the ICC T20 women rankings. Being put down 3-0 by New Zealand in a disappointing T20 series for India, the side held onto the fourth place standing, one up from the fifth which was bestowed on them ever since the inception of the ranking system recently in October 2018. Despite going all the way in the last two matches, the Indian women cricket team failed to see the results end up their way with a win eluding them by the tiniest of margins to see them return to the country without opening their account all series to result in their fourth place spot being held onto by the small breathing space of 2 ranking points which takes them to 252 as opposed to the 250 of West Indies. 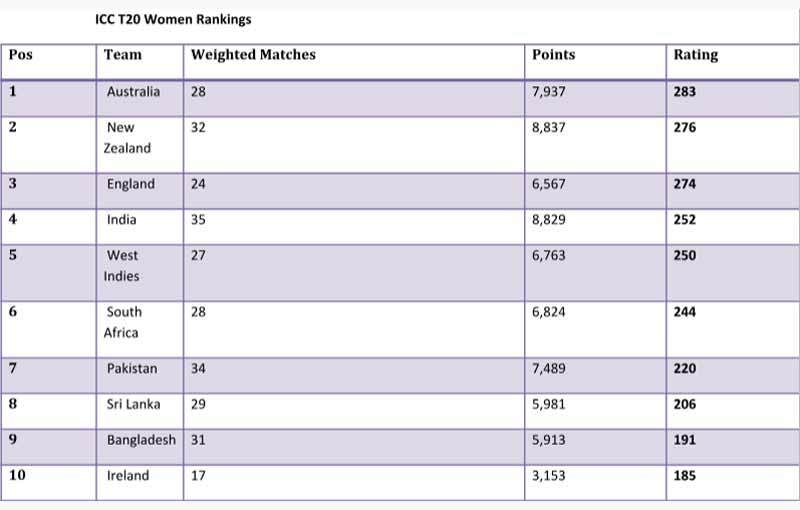 While the series from a team’s perspective failed to yield rich dividends for the side, some exceptional and significantly standout performances saw members of the side make massive strides in the ranking system for batswomen and bowlers. Among one of the biggest gainers from the Indian side was Smriti Mandhana who was persistently and consistently good against New Zealand with their bowling line-up failing to trouble her up as she scored runs throughout the series to give India a good start, one to their misfortune the middle-order failed to make a count. 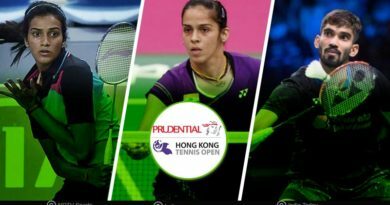 Mandhana has progressed by four ranks and finds herself in the sixth position, courtesy her two half-centuries and score of 86 in the last T20I. Spinner Radha Yadav is up 18 places as well to 10th position to give India something to relish despite having an aberration of a series that puts them well behind the pace in terms of world supremacy when it comes to the format. Meanwhile, New Zealand enjoyed their highly successful run in the entirety of the series, one which saw them crumble India courtesy of some pristine performances as they went onto put on a show with the rankings speaking heavily in their favour. 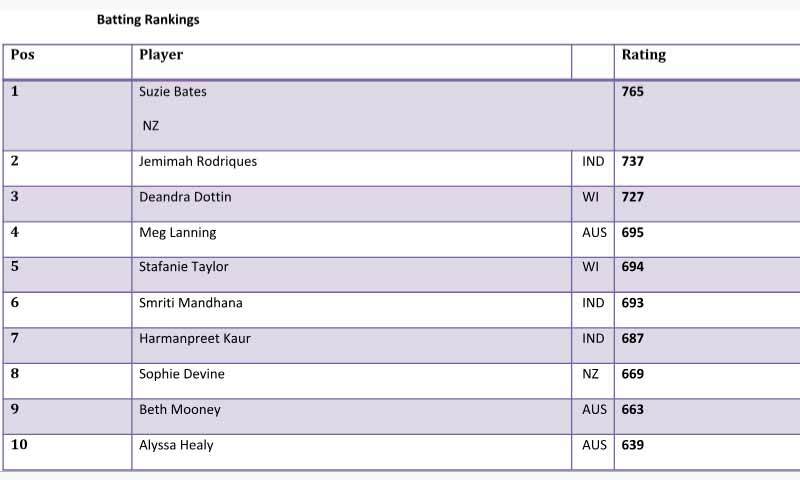 For the White Ferns, Devine has moved up from 11th to the eighth position among the batters after scoring 153 runs in the series including a 72 in the last match. 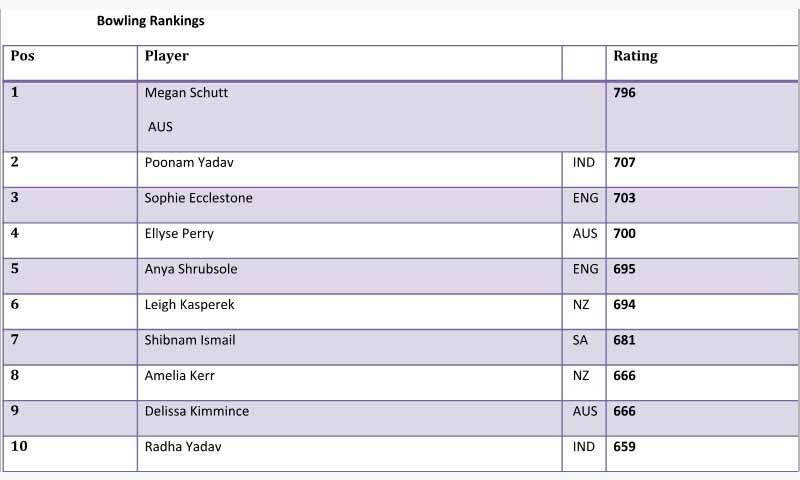 Amy Satterthwaite’s 87 runs have lifted her from 23rd to 17th position while among the bowlers, Tahuhu has risen five slots to 11th position. Elsewhere with the series against Pakistan and West Indies also been played out, one which the tourists took in their favour 2-1, Dottin moved up two places to third among the batswomen after scoring 158 runs in the series, while her three wickets have lifted her two slots to 29th among bowlers. Her all-around showing in both the aspects of the game saw her take the pole position in the ranks of all-rounders in T20. The latest set of rankings which also takes into consideration the series between South Africa and Sri Lanka, one South Africa had no qualms in wrapping up 3-0, blowing apart Sri Lanka and decimating them in thumping fashion, sees Niekerk move up three slots to reach 12th among the batters, up six places to 20th among the bowlers and up two berths among the all-rounders to third. In the overall team rankings, New Zealand moved ahead of England to occupy the second spot with Australia continuing to be top, while India and West Indies are ranked fourth and fifth respectively. 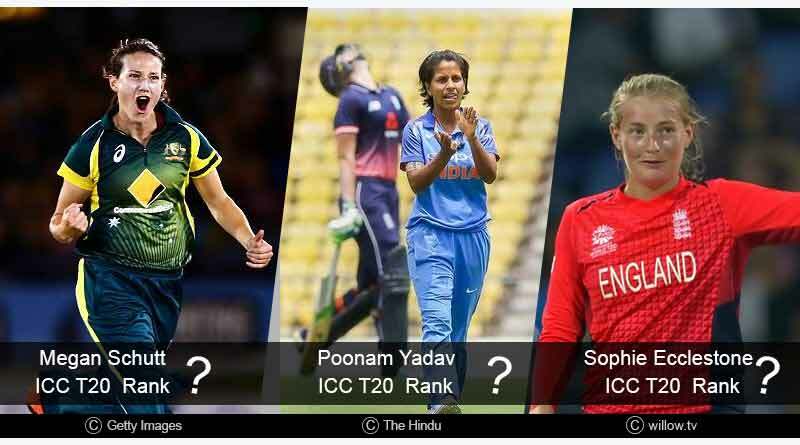 For more articles like ICC T20 Women Rankings, do Subscribe to our newsletter and follow us on Facebook, Twitter and Google+.